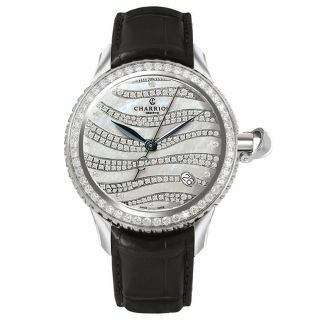 36 mm case, Round Steel, Automatic, Setted 50 White Diamonds 1.12Cts, dial Glossy White Arabic Figures, Black Calf Strap Croco Pattern. 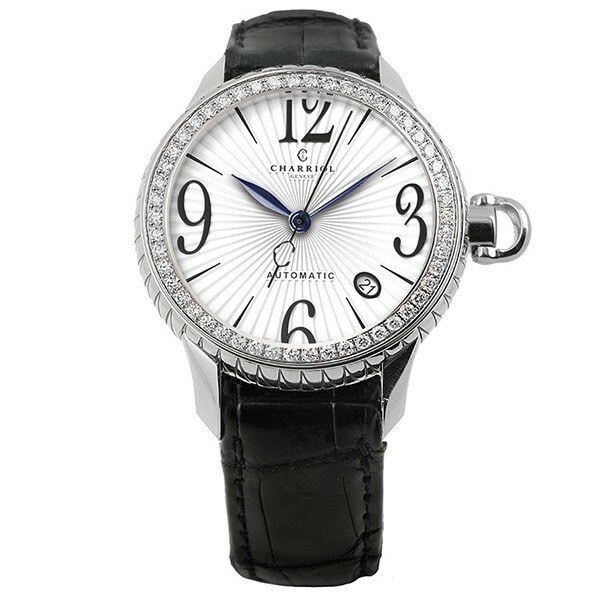 The COLVMBVS™ LADY watch - a nautical twist on timeless and elegant design, set with 50 sparkling diamonds. 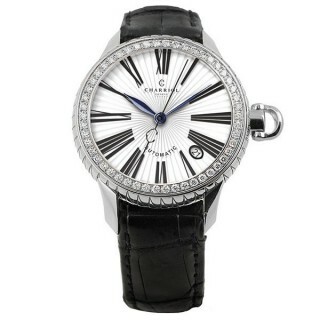 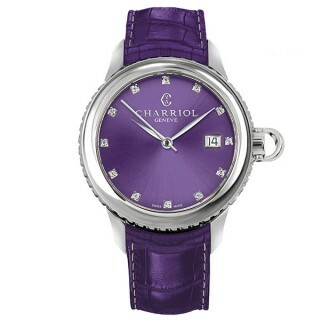 The COLVMBVS™ LADY is an automatic timepiece designed to mark life’s moments, in luxurious style. 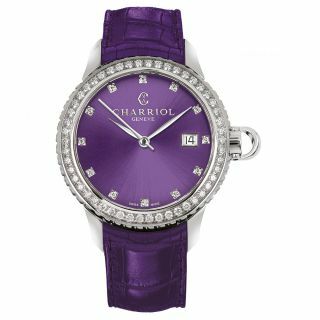 This sophisticated Swiss-made watch is guaranteed to turn heads with its generous ‘macaroon’ style case (36mm) in stainless steel, set with 50 diamonds, black leather strap with an embossed crocodile pattern and monochrome detailing. Inspired by the adventurer, Christopher Columbus, there are plenty of nautical accents to enjoy, including the intricate interlocking triangular pattern around the case, which recalls the points of a compass rose, and the crown, which echoes the shape of a clevis, a type of pin commonly found on ship’s rigging. 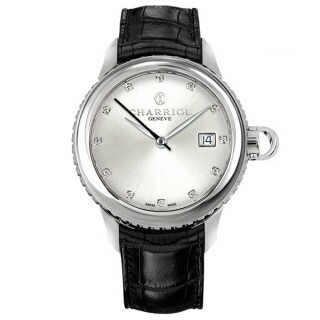 The white dial, etched with a narrow and fluted guilloché pattern and adorned with stylish Arabic figures at 12, 3, 6 and 9 o’clock, also displays unique Charriol artistry. 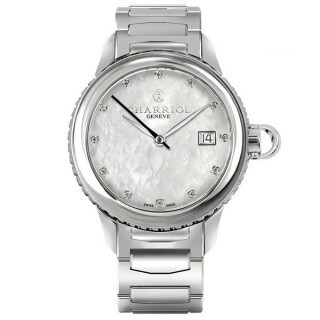 The watch features an automatic ETA 2892 movement, which can be glimpsed alongside the oscillating weight, through a sapphire case back, etched with a profile of Columbus himself. 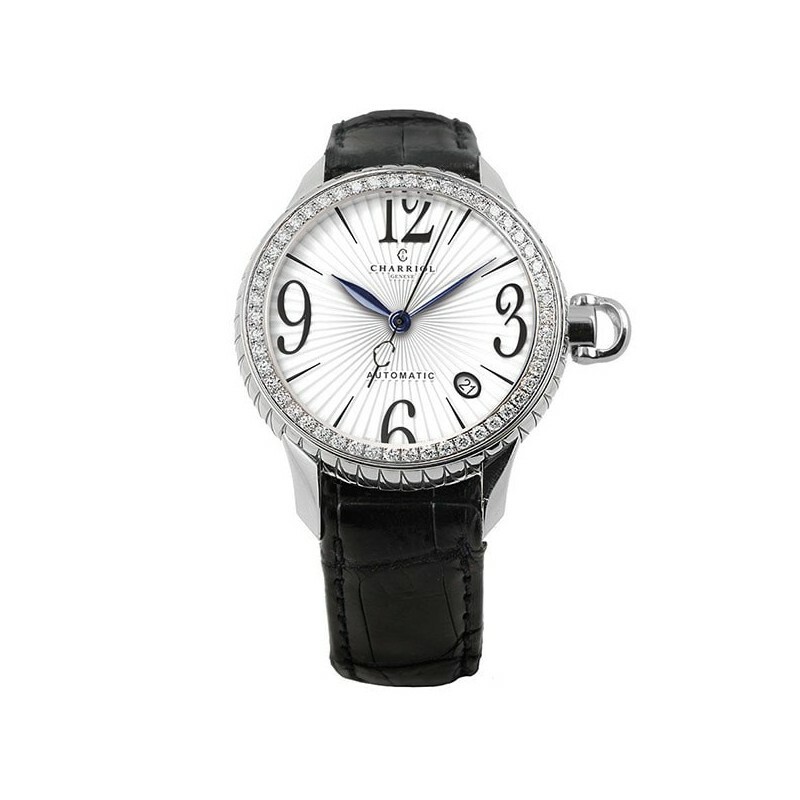 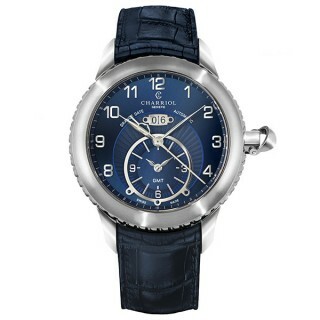 A special timepiece packed with fine details.